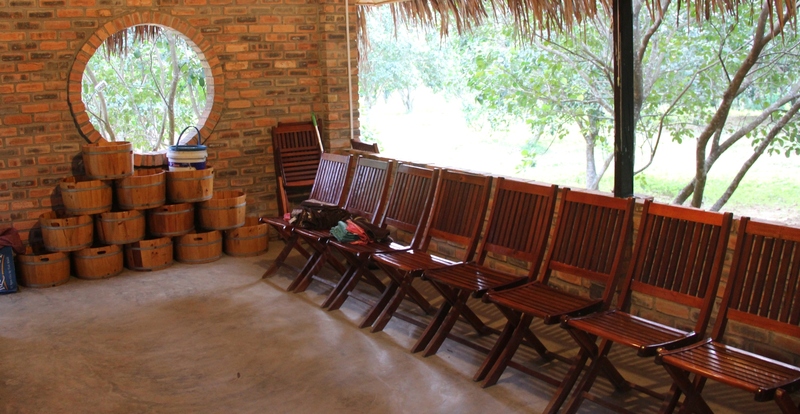 Hue Ecolodge is located in Thuy Bieu, a tranquil village merely 7 km (4.3 miles) from the city centre. 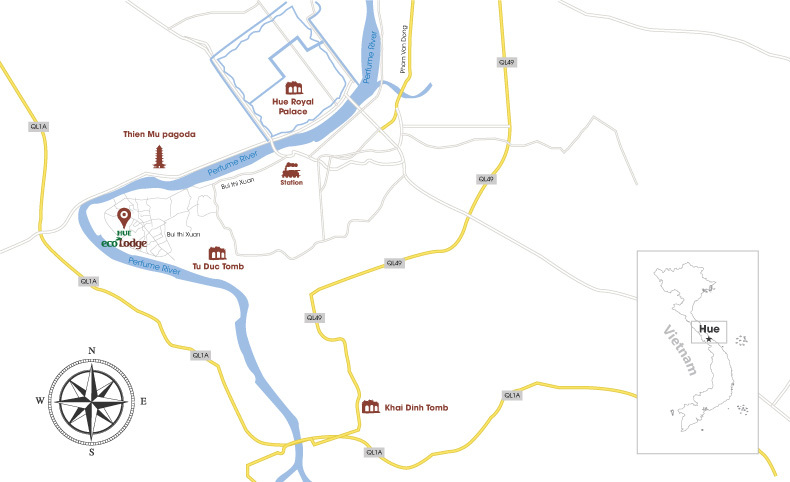 It is just a 15 minute drive to Phu Bai airport or Hue railway station, a short bike ride to surrounding traditional villages and a few minute boat trip to Thien Mu Pagoda, the iconic symbol of Hue. Excitingly, our lodge can be reached easily by both car and boat. Nestled in a large verdant garden on the bank of Perfume River, our lodge enjoys a pleasant atmosphere with a lot of fresh air and cool river breeze. In this unspoiled natural setting, you can truly forget all your daily worries to indulge in Hue scenic and relaxed countryside setting. Surrounded by dense green trees, our spacious outdoor pool is the perfect venue to unwind before or after a day filled with activities. You can also relax on a pool lounge with a cool refreshing drink. We also design a smaller shallow pool for children too. The stone pathways add a rustic feel and make the pool truly a part of this spectacular natural world.